All horses, ponies, donkeys and related species are required by law to have a passport. This allows identification of the horse and gives information on the individual’s status at the end of its life. If the animal is intended for human consumption this restricts what medication they can receive, all of which must be documented in the passport. The animal’s keeper is required to hold a passport for each of the animals in their care, a foal is required to have one by six months of age or before 31st December (whichever falls later). If you wish to transport the foal without its dam sooner a passport and microchip are required. We ask our clients to sign their equine out of the human food chain, allowing medications to be given without restriction. We will ask to see the passport before prescribing certain medications, and as such it is vital you have this with you whenever the vet examines your horse. Any passports issued after 1 July 2009 must have a valid microchip number, and as such any new passports issued require the horse to be microchipped. Failure to provide a valid passport on demand by the authorities can result in prosecution, with an unlimited fine. New passport applications must be certified by a veterinary surgeon. We can certify passports and implant microchips for equines. 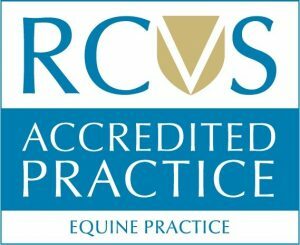 We hold paperwork for Horse Passport Agency passports and Petlog Microchips, if you require breed society passports you must advise us at time of booking and ensure you have the relevant paperwork prior to the vet’s visit. It should be noted that some breed societies require specific microchips, obtaining these as well as the passport application forms are the responsibility of the owner. Previously, only horses passported after 2009 required microchips, but new legislation introduced 25th June 2018 states all horses in the UK must be microchipped by October 2020. To help our clients ensure they are compliant we are running a discounted microchip implantation scheme from 1st August 2018. If we are attending your horse for a vaccination or dental we will implant a microchip for a reduced price of £15 (usually £25).